Home is pleased to be exhibiting painting by internationally acclaimed Chinese-born artist Xue Mo in our ‘The Portrait’ exhibition later this year. Xue draws her subjects from her homeland of Mongolia and is singularly focused on the female subject, impressed by the ‘noble simplicity, natural beauty, and serene dispositions’ of the young fieldworkers. Her portraits are more than representations of female beauty. Xue Mo’s premise is that the composition of these paintings acts as a focal point for meditation on such concepts as virtue, beauty, serenity, benevolence, and tranquility. 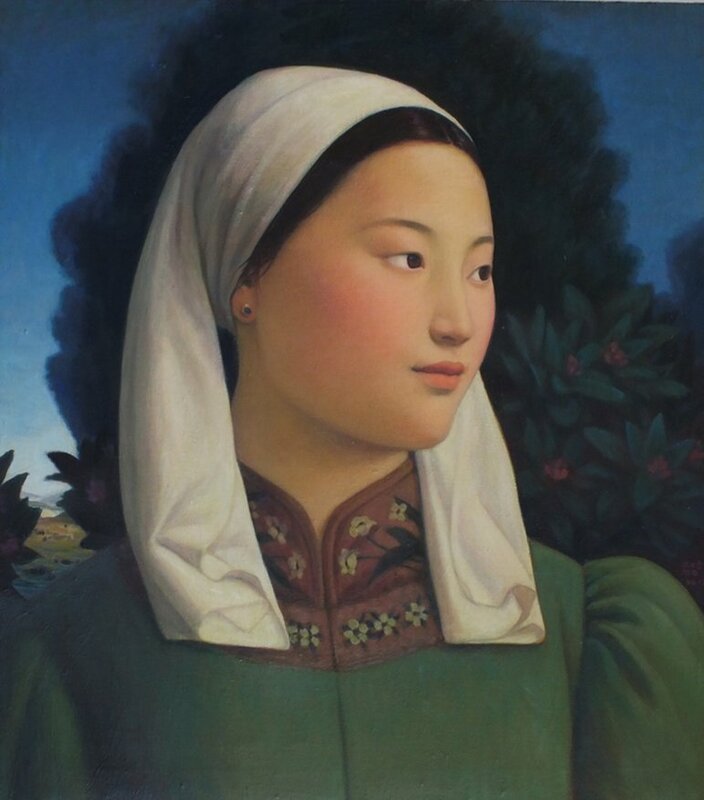 Described as “Renaissance”, “Chinese Vermeer” or “Medici- like portraiture”, Xue Mo’s paintings evoke a timeless elegance and a return to pure painting. Xue Mo appears courtesy of Catherine Asquith Art Advisory, Melbourne.